You will find a CREATE NEW GROUP button in both the My Groups panel of My Dashboard and the Groups panel in the Home view of Booktype. Clicking either of these buttons will open a Create a new group window. Give your group a Name and a Description of up to 250 characters. Optionally, you can upload a Group image for it. 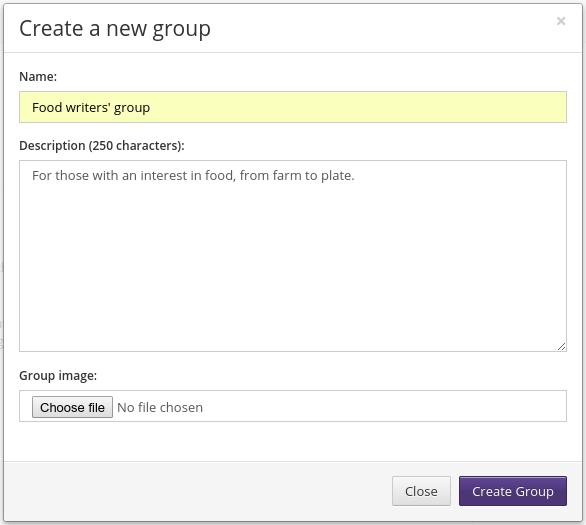 Then click the Create Group button in the lower right corner. 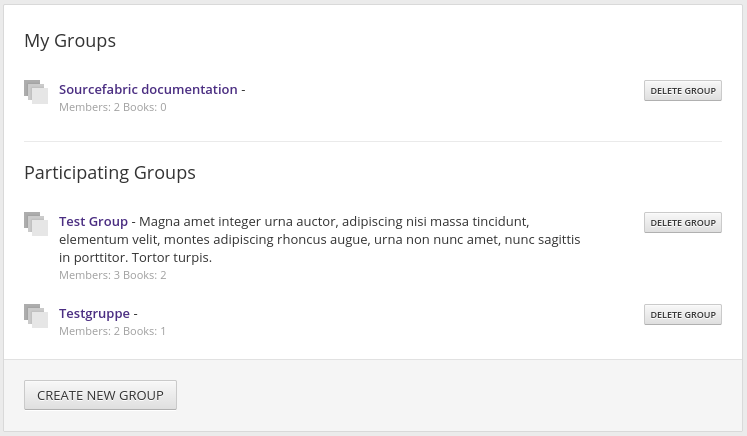 Your new group will be added to the list in the My Groups panel of your Dashboard, and it will also appear in the list of Groups visible to everyone.